Nvidia® NVENC is a feature in its graphics cards that performs H.264 video encoding, offloading this compute-intensive task from the CPU. ManyCam 6 has widened the range of supported encoding options and now allows utilizing Nvidia® NVENC along with the default encoder used in the previous versions. This guide will show you how to enable Nvidia® NVENC encoder. You can tell if your card supports NVENC by its Code name. Cards with Code names starting with GK, GM or GP do support NVENC technology. 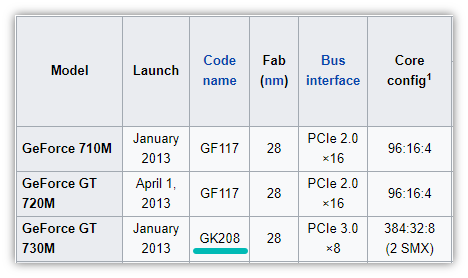 Some low-end graphics cards might not support NVENC encoder despite the Code name indicates otherwise. – Open ManyCam menu, navigate to RTMP settings and select Nvidia® Encoder under the Encoder setting. 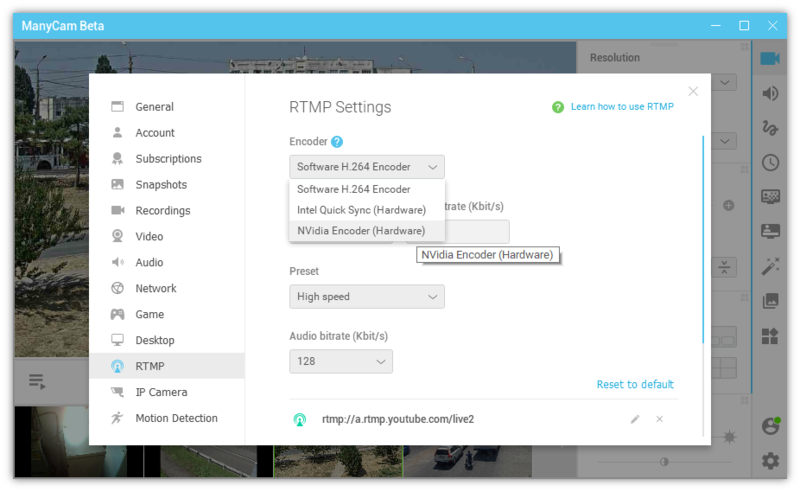 In case you need to use the Nvidia® NVENC encoder for video recording, go to ManyCam’s Recordings settings and select the encoder the same way as in RTMP.